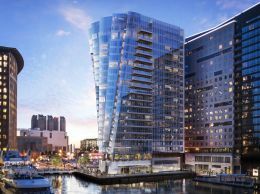 One of midtown's hottest luxury residential building, Millennium Place is the address for the who's who in Boston. Located across the street from the Ritz Carlton, Millennium Place is situated in the middle of it all, just a few minutes walk from the financial district, a block from the beautiful Boston Common, and a few steps from the downtown crossing T station. 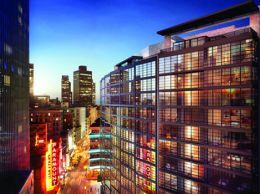 The building offers 24 hour concierge, a doorman, a bar, lounge area, a beautiful garden, a restaurant available only to its residents, massage room, and a private screening room. There is also a beautiful fitness area. With a distinguished track record, including the Ritz Carlton and Four seasons, the developers of this building left no detail unfinished. This is the place to live if you are looking for modern luxury living. The information in this listing was gathered from third party resources including the seller and public records. Listing information provided courtesy of Adam Shore of Charlesgate Realty Group, llc. MLS Property Information Network, Inc. and its subscribers disclaim any and all representations or warranties as to the accuracy of this information.